Indie folk rockers Murder By Death and J Roddy Walson & The Business co-headline a live concert at the Amphitheatre's Back Yard Stage. The St. Augustine Amphitheatre presents indie folk rockers Murder By Death and J Roddy Walson & The Business as they co-headline a live concert at the Amphitheatre's Back Stage on Wednesday, February 20, 2019. The Louisville, Kentucky-based quintet Murder By Death has been a trailblazer of early 2000s indie-Americana, with their signature sound that takes rock and roll and twists it just a little off its axis to become something completely their own. With nearly 20 years, thousands of performances, and eight albums under their belt, Murder By Death is touring now in support of their most recent release, The Other Shore. 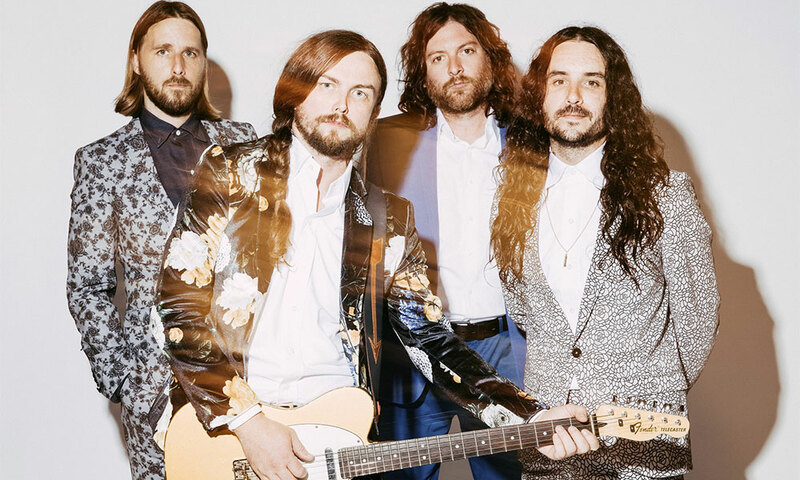 J Roddy Walston & The Business were formed in 2002 and were an underground favorite for several years before breaking out with Essential Tremors, which brought them new opportunities, including the chance to play at Lollapalooza, the Newport Folk Festival, and Bonnaroo. Their current release is Destroyers of the Soft Life. For more information about Murder By Death and J Roddy Walston & The Business, as well as for details about this Backyard Stage concert, please visit here. Admission: General Admission Standing Room tickets are $25.00 if purchased in advance and $28.00 if purchased on the day of the show. When: Wednesday, February 20, 2019, at 7:00 p.m. Doors open at 6:00 p.m.